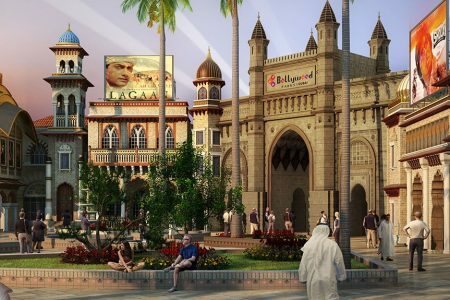 On the Palm Jumeirah island you can find the biggest waterpark of Dubai and the Middle East, the Aquaventure Waterpark. 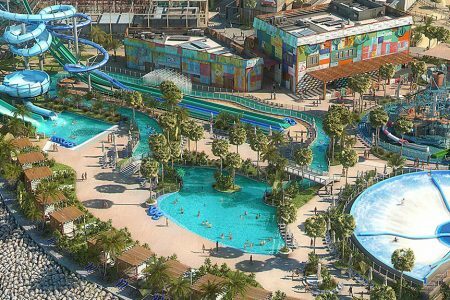 The waterpark is easily to find because of it’s location right next to the famous Atlantis The Palm hotel. 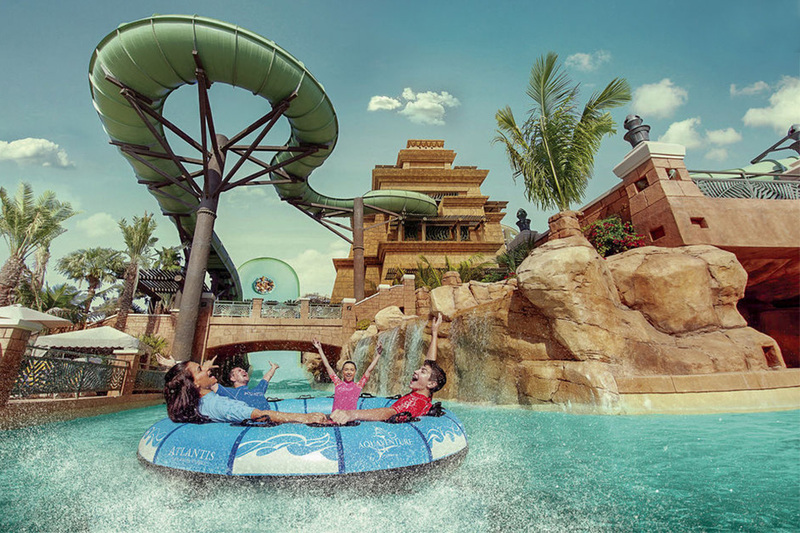 The Aquaventure Waterpark the perfect place to cool off during your holiday in Dubai and enjoy one of the many swimming pools and water attractions. At the Aquaventure Water you can find the largest slide in the world at the Tower of Poseidon attraction, the longest zip line of the Middle East and a lot of other waterslides and beautiful swimming pools and water attractions. Thanks to the many swimming pools and various water slides, the Aquaventure Waterpark guarantees for the whole family an entire day of swimming and water fun. In the water park you can find a large number of attractions, including The Rapids, a water course with rapids and curves where you can take the course with a 1 or 2 person tire. The Ziggurat is 27,5 meters high. The slide of this Ziggurat is 61 meter long and has a transparant tunnel. By the transparant tunnel you will slides through a shark lagoon.A slide in this attraction is an unforgettable experience that can not be skipped! In addition to these attractions, there are numerous large and small swimming pools, water slides, playgrounds and rapids in Aquaventure. Next to the Aquaventure Waterpark you can find the Dolphin Bay where you can swim with dolphins. Access to Dolphin Bay is only possible with a separate ticket which can be bought online on the website of GetYourGuide. Keep in mind that the activity where you can swim with the dolphins is not cheap. The cheapest option to swim with dolphins start at 320 dollar per person. Do you want to enjoy a day in the Aquaventure Waterpark? You can book your tickets easily online at the website of GetYourGuide or the Tiqets website. A ticket for adults and children over 6 years cost 78 dollar. Tickets for children between 3 and 5 years costs 64 dollar. 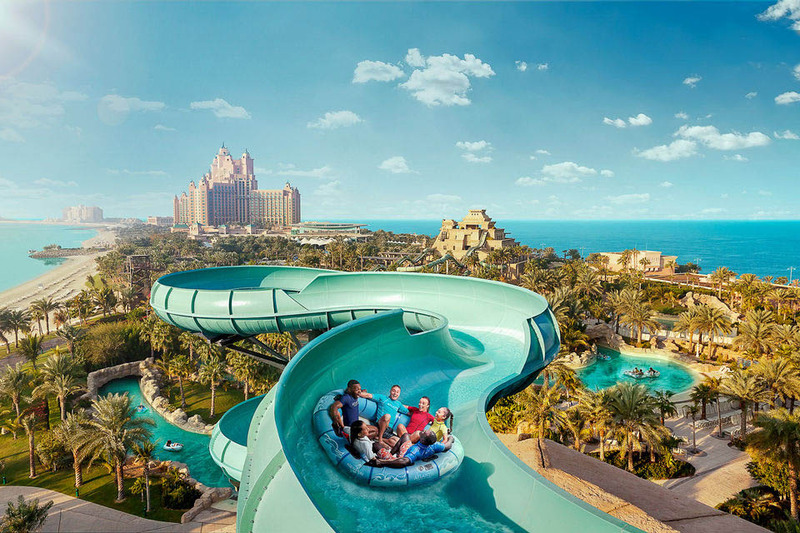 For guests of the Atlantis The Palm hotel the entrance to the water park is free. 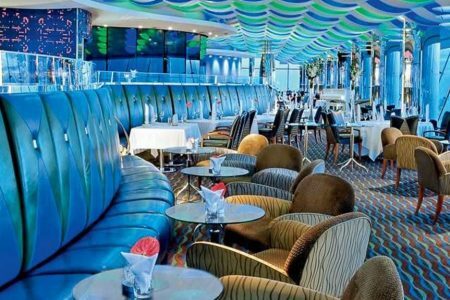 Food and drinks are of course not free for the guests of Atlantis The Palm. Towel rental is possible, the costs are 30 AED and lockers can be rented for 40 AED. A combination of towel and safe costs 50 AED. Do you want to visit the Lost Chambers aquariums in the Atlantis hotel next to the Aquaventure Waterpark? Then you can book a discount combi-ticket where you can visit both attractions in Dubai with a discount. The combi ticket costs 96 dollar for adults, tickets for children between 3 and 5 years or below 1.20 meter costs 76 dollar. Children under the age of 3 may enter for free under the supervision of an adult. 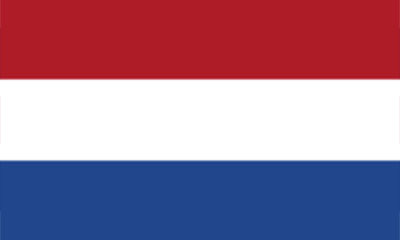 You can order your discount combi-ticket at the the GetYourGuide website or the Tiqets website. The Aquaventure Waterpark at the Palm Jumeirah island is easily accessible by public transport thanks to the Palm monorail. A ticket to the Palm and back costs 25 dirhams. The monorail has a number of stations, some are still under construction, but both the start and end station are open. The monorail starts at the Gateway Towers and has its own station on the Dubai Tram which runs through the Dubai Marina. The endpoint of the Palm monorail is next to the Atlantis hotel and the Aquaventure waterpark.